A few important Schnitzelburg events on the horizon! We will highlight two below, but you can check out all the upcoming Schnitzelburg and SACC events on the new "Calendar & Upcoming Events" tab at the top of the page. Are you a Google user? You can sync the SACC calendar with your own, so you never miss an event! 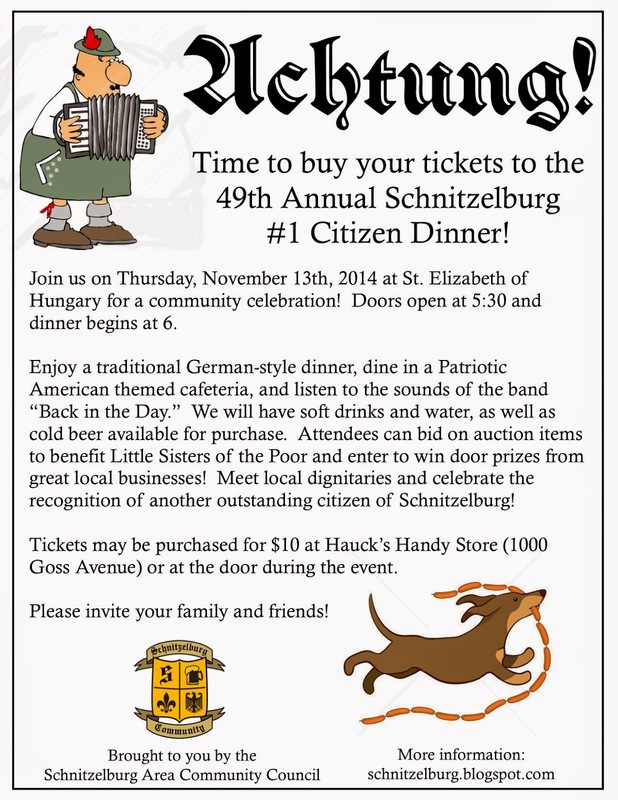 Thursday is the 49th Annual #1 Citizen Dinner where we will be honoring a citizen who selflessly devotes their time, energy, and goodwill to the Schnitzelburg community. Meet local dignitaries, enjoy a meal catered by Heitzman's Catering, and enter for a chance to win a slew of prizes! Join us as we congratulate the 2014 #1 Citizen! Tickets are still available at Hauck's or at the door. 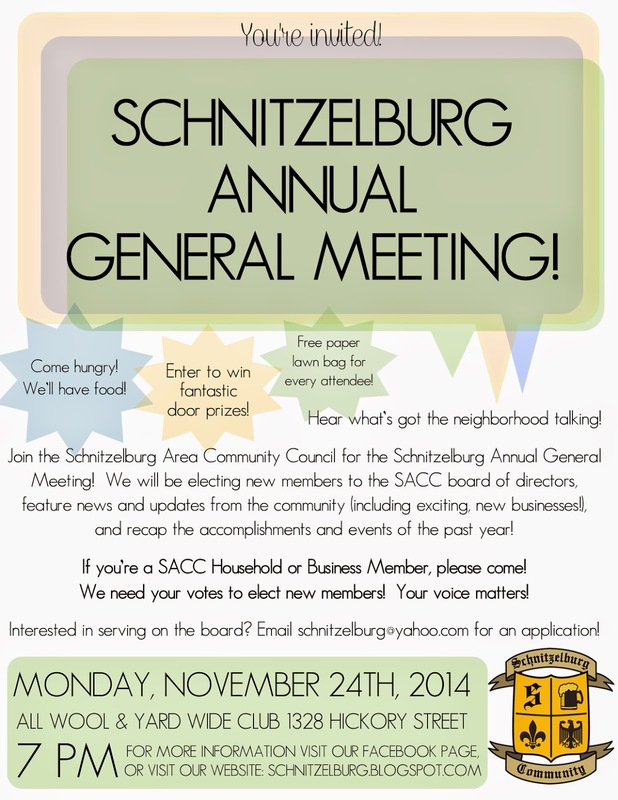 On Monday, November 24th the SACC will be hosting the Annual General Meeting. This is an important meeting in that we need all household and business members to attend so we can elect new board members. Anyone is welcome to join to SACC Board! You don't have to live in Schnitzelburg to serve, but we can only have a maximum of four out-of-boundary members (we currently have two). 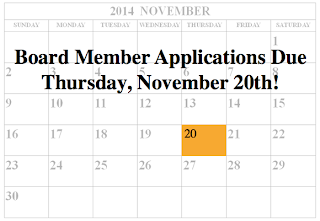 More information, including basic job duties of board members, can be found on the SACC Board Member Application Form. If you are interested in serving on the board, please fill out the application and return it to SACC by Thursday, November 20th. Anyone can nominate themselves during the Annual General Meeting, however, the nominating committee would like to be able to present nominees to the general public with the information provided on the application. We will have updates from local business and community groups, a free, Italian style dinner will be served, door prizes will be given away, and every attendee will receive a paper yard waste bag to take home (On January 1st, 2015, Metro Louisville will no longer accept plastic yard waste bags).